Teams of secondary school students apply knowledge of science to solve a problem encountered in their daily life. 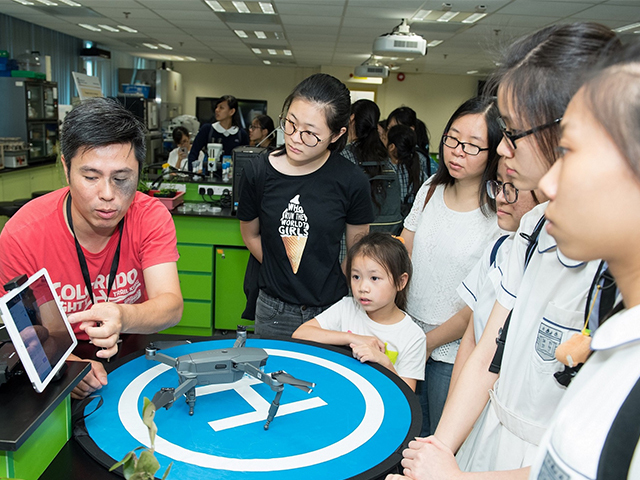 At a laboratory tour, students learn about the deployment of drones (an unmanned aerial vehicle) for conducting ecological surveys. Students show interest in the scientific principles behind the magic show. The Faculty of Science held the Science Festival which has the theme “The Fortune from Scientific Innovation” this year. Nearly 900 participants from secondary schools and the general public attended. This year, there was an array of activities designed to arouse participants’ awareness of the importance of scientific innovation in our daily lives. 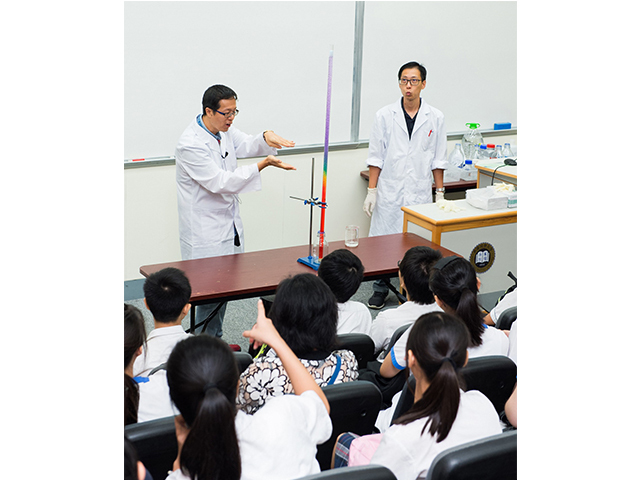 Activities included four talks revolving around the themes of scientific innovation, entrepreneurship, and applications; a chemistry magic show; laboratory tours; games as well as exhibitions. 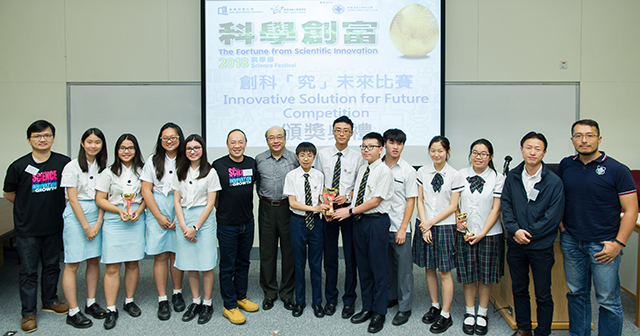 In addition, students gained hands-on experience in designing a mobile app and building an artificial intelligence chatting robot at workshops; and the “Innovative Solution for Future” competition was held. This competition required teams of secondary three or above students to present their solutions to solve a previously identified problem relating to “Green Technology & Smart Living” in their daily life. The nine teams presented their findings during the competition today. Their presentations covered topics ranging from biodegradation, biotechnology, sustainable roof farming to smart power generation and energy conservation. The championship went to the team from St Paul’s College; the team proposed to make an eco-friendly air-conditioner base on the Physics thermoelectric effect, the Petlier effect. The first runner-up was Po Leung Kuk Ngan Po Ling College; and the second runner-up title went to the team from Maryknoll Convent School (Secondary Section).